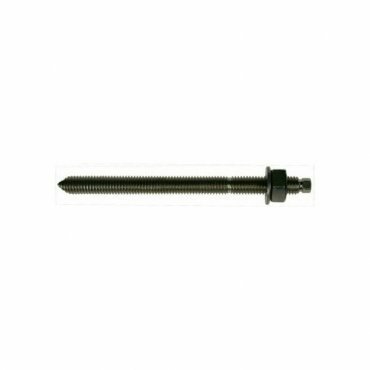 Grade A2/304 Stainless Steel Studs for use with J-Fix Glass Spin In Capsules or J-Fix Injection Resin Systems, supplied complete with nut and washer. Grade A2/304 Stainless Steel Studs for use with J-Fix Glass Spin In Capsules or J-Fix Injection Resin Systems, supplied complete with nut and washer. The studs have external hexagon drive units with one drive unit in each box. Each stud has a depth mark to indicate correct setting depth and a chisel point to facilitate appropriate mixing when using glass spin in capsules. For load data see the appropriate chemical product.